No laughing there at the back, but there are genuine concerns that a possible ‘hard’ Brexit will cause a rise in Viagra prices for men around the country due to increased costs for Pfizer to make the little blue pills. With Britain preparing to finally leave the EU on 29 March 2019 at 11pm local time, there still remains much uncertainty about what effects there will be for both individuals and businesses. Will we be worse off? Will businesses up and down the country have to close their doors due to increased costs of importing? Of course, it is still difficult to tell precisely what will happen and the ramifications of Brexit, but as Britain scurries towards next year’s Brexit with no deal in place, one can only fear the worst if the UK limps out of Europe with no concrete plans in place to protect trade. One company that is perhaps planning for the worst scenario, is the world’s biggest drugs manufacturer, Pfizer. The US firm – who raked in $40 billion in sales last year alone – is considering stockpiling medicines. Pfizer, like many other businesses, are very concerned that a no-deal Brexit will result in huge problems transporting goods to and from the European Union. 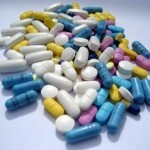 Pharmaceutical giant Pfizer are not the only ones thinking about stockpiling medicines. Some pharmacies around England are also stocking several months’ worth of erectile dysfunction drug Viagra in case the stock price skyrockets. The hope is to try and minimise the effect to patients of Brexit and thus prolong the time until when the cost may have to go up. This could partly explain why we at Medical Specialists have seen a huge increase in the number of men coming to us requesting treatment for erectile dysfunction, in particularly Viagra and Viagra Connect. Potential price rises for Viagra next year are due to the fact that although the key ingredient is produced in the Republic of Ireland, the tablets are actually manufactured in France. The concerns come only months after Viagra Connect 50mg tablets were released. This version of Viagra is not a prescription-medication and is lower the price of the regular Viagra 50mg tablets. Although a prescription/doctor’s consultation is not needed, patients cannot simply walk into a pharmacy and pick a box off the shelf – They will still have to under a face-to-face consultation and answer a number questions. As we approach our divorce from the EU, Medical Specialists are still the cheapest around for Viagra Connect, with prices from as little as £16.13 for a pack of 4 tablets. It is available to buy online today from the pharmacy at Medical Specialists and as mentioned, it is also cheaper to buy than the prescription-only version of Viagra. November 1, 2016 -- The Viagra Spray That Could ‘Perk’ You up in Under 2 Minutes! This entry was posted in Men's Health, Viagra and tagged brexit, viagra, viagra connect. Bookmark the permalink.